Travel back through time to the mighty Roman empire and do practical archaeology work in Romania with us. 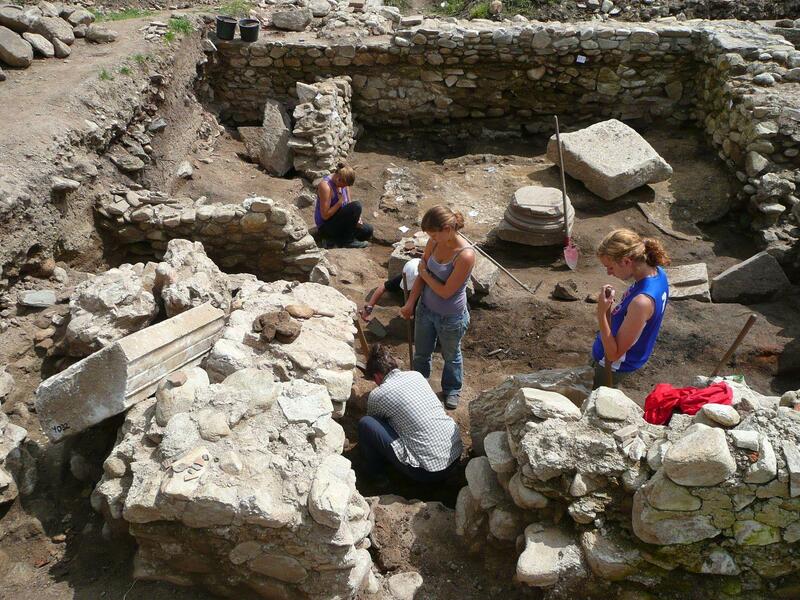 You’ll work at excavation sites around Romania and learn from an experienced archaeologist as you dig up the past. This is a wonderful way to get hands-on with history, and add practical work experience to your resume. With your help, we can preserve these historically and culturally significant sites for future generations. You will help ensure that historical artefacts do not get destroyed during construction of new buildings. For example, our volunteers helped complete the excavation of a rescue dig site in the heart of the Alba Iulia Citadel in 2017. They found artefacts such as silver coins, an iron sword, and a blade. Where you stay depends on which archaeological site you’re working on. 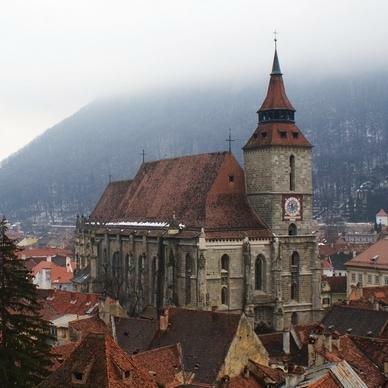 Make the most of your free time and explore, and do things like plan a trip to Transylvania! Is Archaeology volunteering in Romania right for me? Does history fascinate you? Have you always dreamed of uncovering historical artefacts buried for hundreds of years? Then archaeological volunteering in Romania is perfect for you! This is a great option for anyone pursuing a career in archaeology, history, or anthropology to get practical experience. It will add value to your resume, and give you interesting talking points for interviews and applications. More curious than academically-driven? That’s fine too! You don’t need previous experience to join the project. We’ll teach you the basics as you go along, and you’ll learn a lot from the archaeologists. This project runs year-round and you can join at any time. You will need to be able to spend at least one week on the project, though we encourage you to stay longer so you can get involved with a bigger variety of tasks. What will I do as an Archaeology volunteer in Romania? You will spend a lot of your time doing practical work on excavation and restoration sites all over Romania. The type of work you do will depend greatly on where you will be working. In some areas you will mostly excavate, clean and reconstruct pottery-pieces, tools, or other items that have been found there. In others you will identify and uncover ancient graves, as well as recover bones and other artefacts. You can also spend time in the History Museums in Alba Iulia. Here, you will help with pottery reconstruction and research. Your time will be split between site excavation, analysis of finds, and museum presentations. You might also get to translate documents and design tourist information. Work at the museum is mostly during the winter months from December to February, when bad weather prevents us from doing more excavation work. However, if you are interested in this work at any other time of year, please let us know. Where will I be working as an Archaeology volunteer in Romania? You will be based in Alba Iulia, a city with important Roman, medieval, and modern features. Today, many Romanians consider Alba Iulia to be the spiritual capital city of Romania. Alba Iulia is the site of the ancient Apulum, founded by the Romans in the 2nd century AD, and destroyed by the Tatars in 1241. Since the Middle Ages, the city has been known as an eventful town, with an important role in the social and political life of Transylvania. From a tourist point of view, the city holds pride of place. There are many places of interest, but the Citadel is undoubtedly the most important one. You will move around a bit to various archaeological sites, so you can expect to stay in a variety of accommodation types. 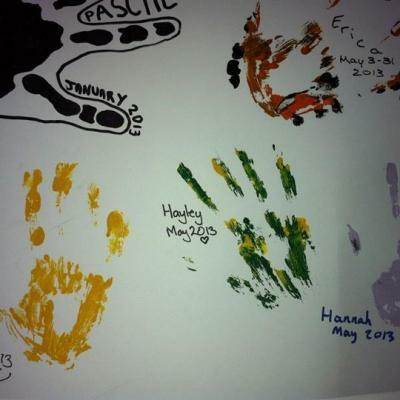 These may include guest houses, camps, hostels, and local host families. When you arrive at your respective airport, a member of Projects Abroad staff will be there to meet you. You can find more detailed information on arrival airports, orientation, and visas on our Romania Arrival Procedures page. Your work day will normally start at around 7am and finish at 4pm. However, during mid-summer (June - July), you may take a longer break in the afternoons and work till around 7pm. Mornings are normally dedicated to excavation and practical site work. This is especially important during summer months when it can get extremely hot. You will get an hour and a half’s lunch break between 12pm and 1:30pm. Since you’ll probably be some distance from your accommodation, this would normally mean a packed lunch on site. If you’re on the project during winter, there is less fieldwork. This means most of your time will be spent conducting research indoors, so you will be able to immerse yourself in a more academic pursuit of archaeology. Evenings and weekends are your free time to explore your surroundings and learn more about Romanian traditions, culture, and everyday life. 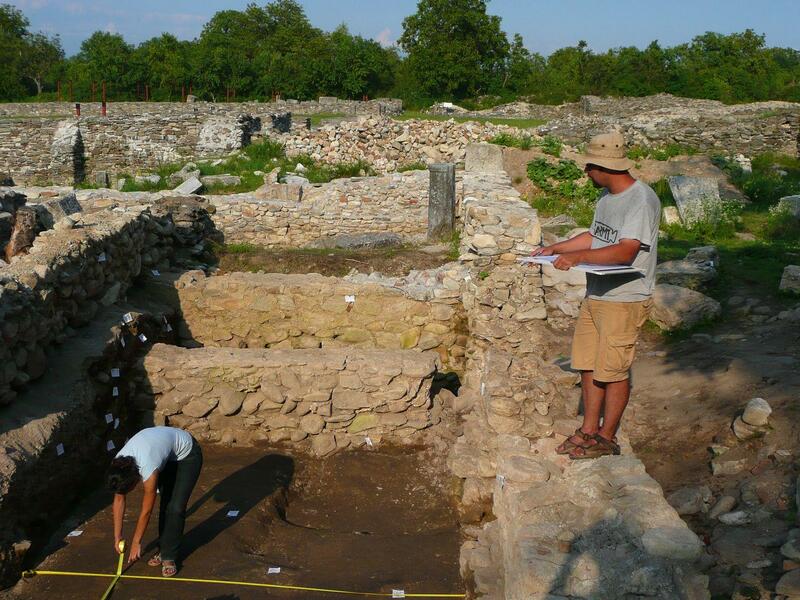 What are the aims and impacts of Archaeology in Romania? There are two main aims of this project: to help you develop your skills and to offer support to understaffed archaeology programs in Romania. We want to equip you with the knowledge and practical skills to pursue a career in archaeology. You’ll be working alongside experienced archaeologists, so be sure to ask questions and learn as much as possible. You will learn how to dig up, clean, and restore artefacts and chart findings. What’s more, you’ll also be helping them conduct vital field work and documentation of findings. Romania is home to an incredible wealth of ancient sites that could offer intriguing insights into world history. Unfortunately, there is a lack of archaeologists to do the work. This is why we need your help. 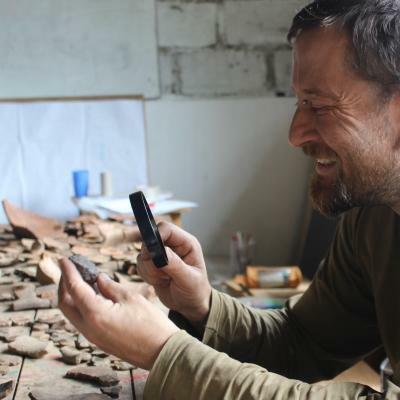 Join our Archaeology Project in Romania and help preserve the country’s cultural heritage. Although I only worked on a single site, the work was varied and I learnt a great deal in a short space of time. 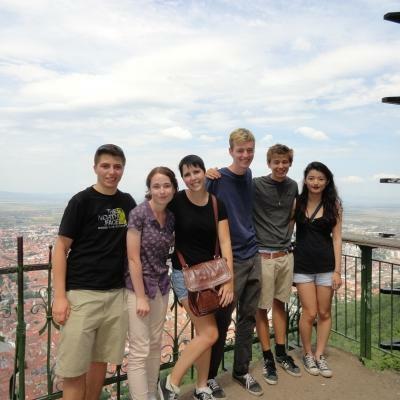 You'll stay with a host family in Brasov. They will welcome you into their home, eager to share their customs and have you teach them about your own culture. We believe that this is the best way to immerse yourself in the culture of Romania and have a truly unique experience. Volunteering in Romania will give you a unique taste of life in Eastern Europe. 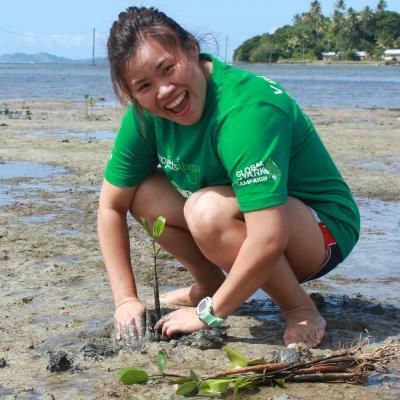 With a diverse range of activities, you’ll find plenty to do during your free time. This is the ideal destination for architecture lovers, with stunning, old buildings lining the streets. The Biserica Neagră is one example of haunting gothic architecture, with its stone walls blackened by a fire that raged through the area in the 17th century. It’s not just the buildings that are worth checking out, but the streets as well. More specifically, you can squeeze your way through one of the narrowest streets in Europe! It’s worth taking a weekend trip to Transylvania to visit Bran Castle, the home of legendary Count Dracula. While you’re there, you can tour ASTRA Museum and delve into the magical world of Romanian folklore. 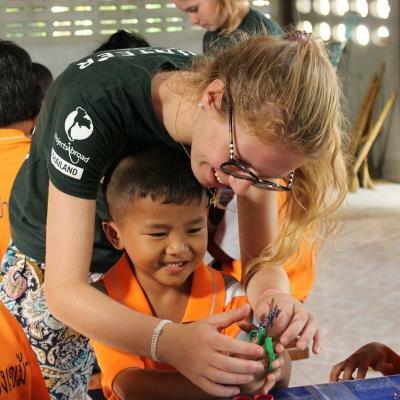 You’ll likely be amongst many other volunteers during your trip. This gives you the option to explore either on your own or in a group. Razvan is the Country Director for Romania. As a trained forestry engineer, Razvan feels at ease with any subject linked to alpine and sub-alpine wildlife. He is also a passionate reader and only spending time with his family can take him away from his job or his books. Alexandra graduated from the Faculty of Literature and Languages in 2008. She loves travel, meeting people from different cultures and learning new languages. She discovered theatre life in high school when she took part in a local English drama group. Her role as drama supervisor is to guide and coordinate both the volunteers and the high school students in all the drama activities. She also organises social events for all volunteers in Romania and coordinates work for our journalism volunteers. Diana was born in Roșia Montană, and she graduated from the Faculty of History and Literature with a Bachelor’s Degree in History in 2015. 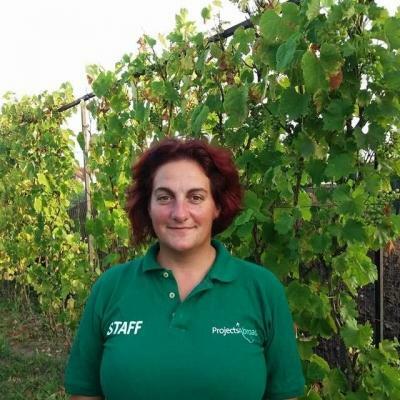 She started working on digging sites at the age of 18, and has been involved in many different archaeological digs. She loves working in the ceramic laboratory, where she restores broken pots found during digs. She loves to cook, read and travel and she enjoys making new friends.